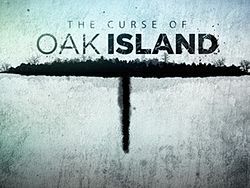 For several years now I have been watching The Curse of Oak Island on the History Channel. It is interesting to watch the hunt for answers to the Money Pit and to see what things they find. The current treasure hunters are Rick and Marty Lagina. Several times on the show they have talked about how they first learned about Oak Island and the Money Pit. Rick Lagina as an 11 year old read an article in the January 1965 Reader’s Digest about Oak Island. This same article also inspired another treasure hunter, Dan Blankenship. I remember reading this article when I was young. Of course that was not in 1965, as I had not yet been born. I don’t remember exactly where I read the article, but it may have been at my grandparent’s who had a lot of back issues of Reader’s Digest. 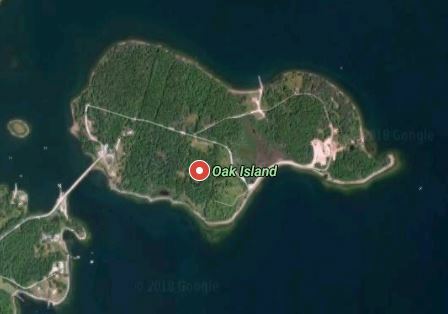 Oak Island is a small island off the coast of Nova Scotia, Canada. The island has a distinctive shape. I think it looks a bit like an elephant. Maps of the island have shown up in old documents that are shown on the show. With the distinct shape you can tell that they are of this island. The most current theory that is being pursued on the show is that the treasure buried in the Money Pit is from the Knights Templar. This is an interesting theory and it would be very interesting to see what they find if this is the case. 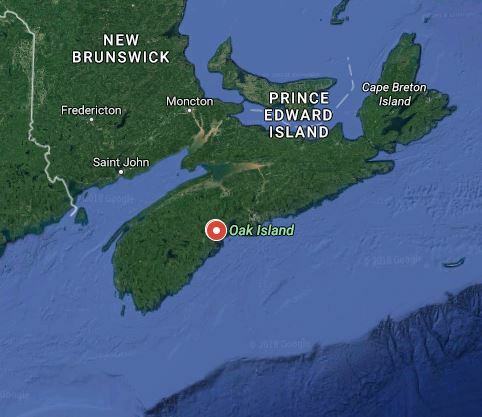 Here is a map showing the Maritime Provinces to get a better idea of where Oak Island is. In the episode shown last week one of the things they talked about was an event that happened in the 1740’s. This was shortly before the expulsion of the Acadians and a large French fleet had been sent to Nova Scotia to recapture Acadia from the British. Along with the fleet was a treasure ship and there are some detailed ship logs that may indicate that the treasure was bound for Oak Island. Not long after this in the early 1760’s my ancestor Stephen Chapman was living only 50 miles away from Oak Island in Newport, Nova Scotia. He was one of the New England Planters that had moved to the area when the Acadians had been expelled. He died there in 1770 and the rest of his family returned shortly thereafter to New England. 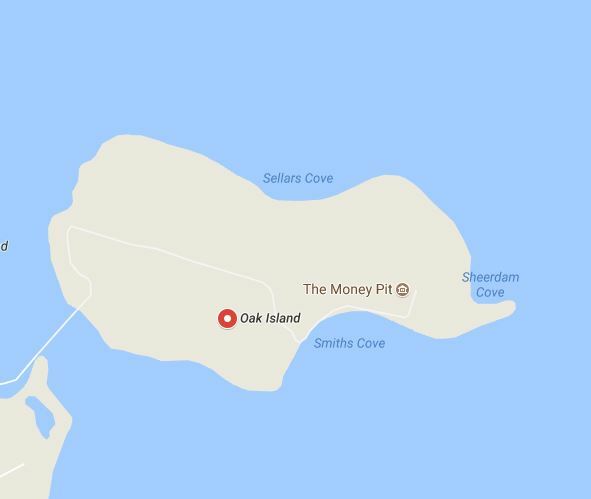 The Money Pit on Oak Island was most likely found in 1799, so my family had already moved from the area. It is just interesting that they lived close to there. Perhaps someday I can go visit the area. I am hoping that they do find something on Oak Island. It does seem that they are building up to something big this season and it will be disappointing if nothing is found. This entry was posted in Canada, Family History, History, Memories and tagged Acadians, Canadian Ancestry, Curse of Oak Island, Money Pit, Nova Scotia, Reader's Digest, Templars, Treasure, Treasure Hunting. Bookmark the permalink.